Mosque Bombing Plot Rattles Immigrants In Kansas' 'Meat Triangle' Militia members accused of plotting to bomb a mosque and apartment complex in southwest Kansas go on trial Tuesday. The alleged plot laid bare tiny pockets of potentially violent racism in the region. Ifrah Farah, a recent immigrant from Somalia, lives in the complex allegedly targeted by the would-be terrorists. Since the bomb plot was revealed, she says she won't go out at night. "I would like to ask the bad guys, 'Why? What am I doing? Why are you trying to kill me? Am I Somali? Or, am I Muslim? What?'" she said. Their alleged plot, discovered in 2016, laid bare tiny pockets of potentially violent racism in a region that's drawn immigrants from across the world to tough meatpacking jobs for decades. The raw hate exposed in the alleged plot shocked many of the refugees who were targeted, reminding them of violence they fled in Somalia and sparking an exodus from one of the prairie towns. It also prompted more people to talk about how much they admire the workforce that is the engine of the region's economy. They've reached out to embrace the would-be targets of domestic terrorism. "We all give each other a chance here," says LeVita Rohlman, who directs the Catholic Agency for Migration and Refugee Services in Garden City, Kansas. "Even when things go wrong. I believe that this community stands united." The plot took root near Dodge City, at the easternmost point of a the Kansas meatpacking triangle formed with Liberal and Dodge City. For generations all three Great Plains cities have drawn immigrants for the smelly, dangerous work of transforming cattle into steaks and hamburger. It's work that few U.S.-born Americans seem eager to take on. 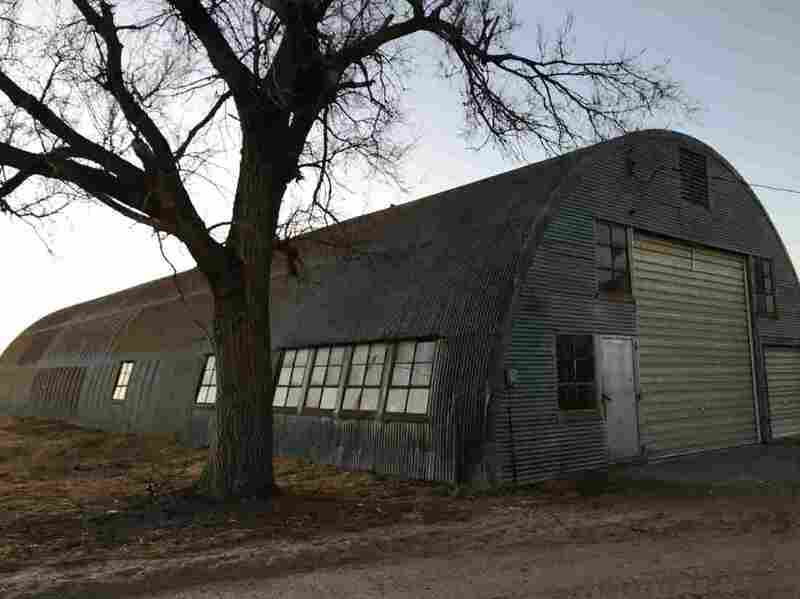 Just outside Dodge City, Patrick Stein lived in an old trailer home in Wright, Kansas, next to a rusting Quonset hut and a grain elevator. Neighbors say that Stein came from a respected family in town, but that he kept strange hours. When FBI agents raided his home October 14, 2016, they say they found a high-powered rifle on the couch, ammunition and what appeared to be methamphetamine pipes. They also found a piece of paper with the address of an apartment complex in Garden City that authorities say was target for an act of domestic terror. In Dodge City, Garden City and Liberal, people of European descent are now in the minority. Immigrants from Africa, Asia, and Latin America, are a key part of workforce. Ambiyo Farah, an 18-year-old Somali immigrant, standing by the now closed African Grocery in Liberal, Kansas. One of Stein's old neighbors in Wright, Chelsea Bradville, lives in a home decorated with taxidermy and patriotic figurines. A pickup sporting a large black assault rifle decal sits out front. Bradville, like many in the meatpacking triangle, harbors an abiding respect for immigrants doing the hard work at area slaughterhouses. "It's very intensive labor, and there's a lot of the community that doesn't want to do that, you know, and they do," says Bradville. "They'll do the hard work, and make it." That thinking is pretty widespread. Old West towns like Dodge City lay claim to authentic gunslinger credibility and a history of destitute farmers toughing it out through the Dust Bowl years. The modern story of the region speaks to a place where just about anyone, from anywhere, can make a living and gain a toehold on the American dream. Earl Watt publishes The High Plains Daily Leader and the Southwest Daily Times in Liberal. "Opportunity may take you elsewhere, but this is a place where you get a chance to get started," promises Watt. "If life bottoms you out, come on out, get restarted here. You'll get that chance. We'll get you back on your feet. That's what defines us more than anything else." Because of the alleged plot, southwest Kansas might have instead been defined something more sinister, domestic terrorism. Instead, authorities contend, a deadly scheme was foiled through the work of someone Stein believed to be a natural compatriot in his anti-Muslim crusade. "The only good Muslim, is a dead Muslim"
Early in 2016, an acquaintance of Patrick Stein's contacted the FBI and became a paid confidential informant. That led him to record conversations with Stein and during meetings with two other men — Curtis Allen and Gavin Wright — who had allegedly joined his makeshift, anti-government, anti-Muslim militia. They called themselves the Crusaders. According to the indictment, Stein seemed to relish mass murder. "The only good Muslim is a dead Muslim," Stein allegedly said in one recorded conversation. "If you're a Muslim, I'm going to enjoy shooting you in the head." That, according to court records, included 1-year-olds. Stein regularly referred to Somalis as "cockroaches," prosecutors contend, and compared himself to an exterminator. The recordings allegedly chronicle the Crusaders discussing bomb types, and ordering supplies to make explosives, some of which were shipped to Gavin Wright's modular home dealership in Liberal. Curtis Allen was allegedly put in charge of writing a manifesto to be released after the group launched its bombing campaign. That document would fame the terror attacks as patriotic defense of the U.S. Constitution and, they hoped, inspire other groups to wage war on Muslim immigrants. They allegedly decided to time the attack for just after the November 2016 election, so as not to hurt Donald Trump's chances. Their lawyers had sought to make sure juror were drawn not from more urban Wichita, but from more reliably conservative voters in the state's southwestern corner. A judge rejected that request. Allen had been convicted of domestic battery, and wasn't supposed to have guns. But court documents say that when agents searched his home they found almost two dozen firearms and thousands of rounds of ammunition. The men eventually settled on 312 West Mary Street in Garden City, a closely spaced cluster of eight one-story apartment buildings. More than 100 people, primarily east African immigrants, live there. One apartment serves as a mosque. According to court documents, the Crusaders discussed parking trucks loaded with explosives at the corners of the complex, placing bombs disguised as trash receptacles, and laying explosives in the duct work. They spoke of shooting survivors, after leveling the buildings. 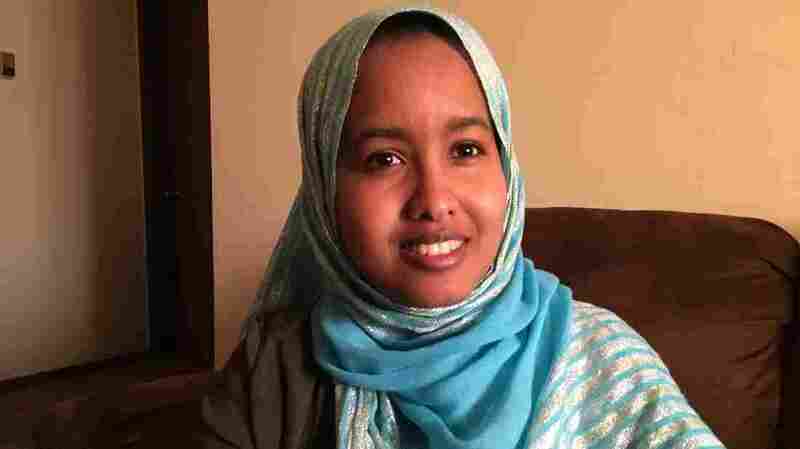 Ifrah Farah, a Somali immigrant who proudly states that she's been in the United States four years, lives in a sparsely decorated apartment at the edge of the complex. "I would like to ask the bad guys, 'Why? What am I doing? Why are you trying to kill me? Am I Somali? Or, am I Muslim? What?'" she said. On October 11, 2016, police in Liberal arrested Allen, not long after his girlfriend called 911 to report that he had beaten her. The next day, Stein had a meeting with an undercover FBI agent. The agent had been introduced by the FBI's confidential source within the Crusaders group, as some kind of underworld figure, who could get him explosives. Stein had a long wish list: C-4 high explosives, machine guns, rocket-propelled grenades. "If I could get ahold of a warthog or an Apache helicopter I would be after that, too," said Stein, according to court records. Stein and the agent discussed trading cash and methamphetamine for explosives and machine guns. At the meeting, the undercover FBI employee let Stein fire fully automatic weapons. Then the agent and Stein drove to 312 West Mary Street, to scope out the place. Two days later, FBI agents arrested Stein when he delivered them 300 pounds of ammonium nitrate fertilizer, the same raw material Timothy McVeigh used to bomb the Murrah Federal Building in Oklahoma City in 1995. In the Oklahoma City bombing, McVeigh was inspired by "The Turner Diaries," a novel that glorified the idea of a race war. McVeigh had hoped his act would inspire others to take up arms against the federal government. "When the terrorist plot was uncovered, I reached out to the president of the African Community Center, and I said, 'I need your help,'" Utz recalled. "He said, 'What do you need, chief?'" Utz wanted help convening a quick meeting with African immigrant leaders to tell them about the bomb plot before it hit the news. The next day, he was back to reassure other refugees. "We made it a point to let the community know, that the three individuals involved in this conspiracy, were in custody, that the community was safe." More meetings, along with public demonstrations, supporting the immigrants followed. By most accounts, they worked. Sitting on his couch, in that Mary Street apartment complex, Abdulkadir Mohamed said Garden City has grown closer since government exposed the alleged the bomb plot. "The FBI, CIA, and law enforcement work together. That's what I believe. That's why I'm really happy. And I appreciate what they do here. Because, I'm still alive," said Mohamed. Mohamed is optimistic about the future of Garden City. But 60 miles south of Garden City, in Liberal, the disclosure of the bomb plot had the opposite effect. 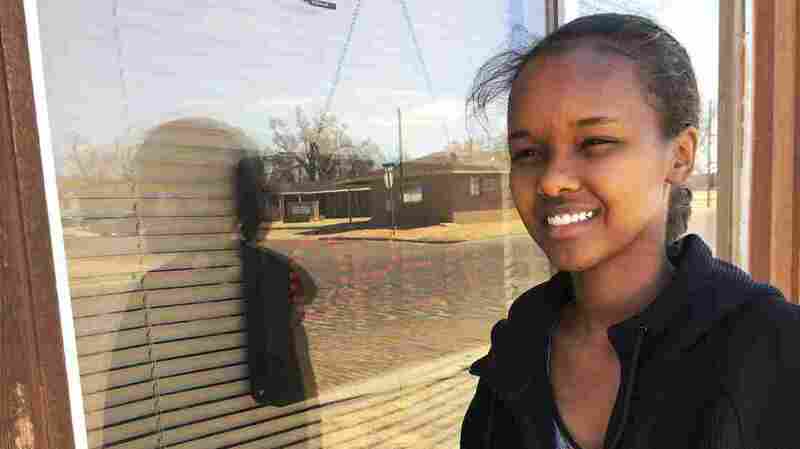 "Liberal is not innocent, anymore," said Ambiyo Farah, an 18-year-old college student in Liberal whose family fled civil war in Somalia over a decade ago. "It's like Somalia now, you know, there's a threat on you." Farah says that she's one of the few from her native country still living in Liberal. Nearly 200 Somalis have fled the small city. That's clear at what used to be a thriving African grocery store. "This is the place, or it used to be the place, but now it's a ghost town. There's no one here," Farah said while standing at a corner storefront in downtown Liberal, where a sign over the locked door reads International African Grocery. "It used to be really beautiful," recalls Farah, looking at the building. "Someone standing here, dressed their African clothing, just to welcome you, say hi. Give you something if you had a kid with you, but there's no one here now." Down the block, ripped up carpet and insulation litter what used to be a storefront mosque. Farah said many Somalis from Liberal moved to Garden City, joining a larger, and more secure Somali community there. "A lot of people ... have a misperception about what my religion is," says Farah "If you don't believe what they believe in, you're an automatic threat. You're here to take something, or you're here to hurt somebody."